Enjoy your experience of skiing or snowboarding in Australia in the pristine Kosciuszko National Park. To help manage the conservation of the park and its facilities visitors are charged a park use fee. The fees are to be paid at guest’s own expense. 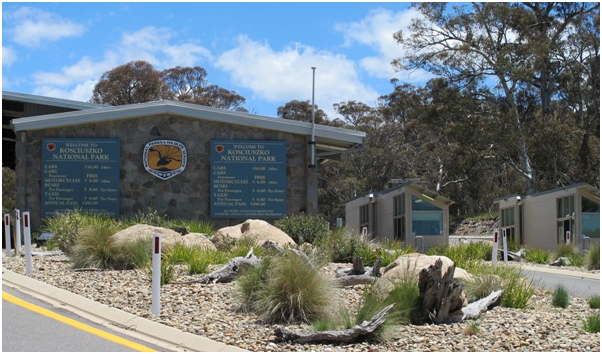 Fees can be paid at the park entry station on the way to either Thredbo or Perisher, or at the National Parks Visitor Centre in Jindabyne. Fees are $29 per vehicle per day for 2016. To save money, an annual All Parks pass can also be purchased from the park entry station or at the National Parks Visitor Centre in Jindabyne. It is compulsory to carry snow chains within the Kosciuszko National Park if you have a 2 wheel drive vehicle (2WD) and it is recommended for AWD and 4WD vehicles as well, during the period between the June and October long weekend.